The Green and Whites made it three wins in three on Friday night when they beat Doncaster Knights at 20-15 at The Bay. 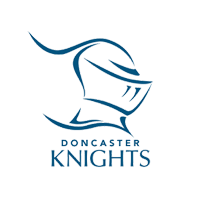 Nottingham Rugby had not beaten Doncaster in the seven previous meetings between the two sides and it took a mammoth effort from Neil Fowkes’ men to win under the Friday Night Lights. The match was incredibly tight throughout the first half, with both sides seeing a lot of the ball in early stages. However, Doncaster were the first to get points on the board when number 8 Joshua Tyrell scored a try. Morath converted to give the away side a seven point lead after seven minutes. An intense period followed, with both sides battling tirelessly to make ground. But Nottingham kept the scoreboard ticking over through summer signing Shane O’Leary who scored four consecutive penalties to give Nottingham a five-point lead with five minutes to play in the first half. Knights fought back after a penalty that fly-half Morath slotted away, leaving Nottingham with a two point lead of 12-10 as the referee blew for half time. Doncaster were the first team to make an impact in the second half, scoring a try after 4 minutes after a sustained piece of attacking play. The conversion was missed, giving Doncaster a 12-15 lead in the early stages. Minutes later, Nottingham were left rueing their mistakes when Shane O’Leary’s forward pass prevented a prime try scoring opportunity in a game of few chances. Shane put his mistake behind him to convert his fifth penalty of the evening on the 60th minute levelling the scores at 15-15. 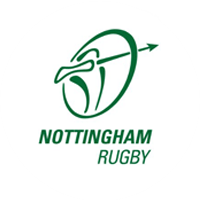 Nottingham’s persistence in attack saw a series of failed attempts to convert their chances, and both sides failed to capitalise on strong positions throughout the match, however, on the 70th minute, the Green and White’s efforts were rewarded with a try. A fine attacking move rounded off by an electric turn of pace from Sean Scanlon saw the hosts take the lead with 10 minutes to play. The conversion was missed and the score stood at 20-15. A tense final ten minutes saw Nottingham come close to killing the game with several fumbles letting them down and Doncaster Knights were equally unfortunate not to convert chances of their own. Ultimately, it was Nottingham who took the spoils in fantastic match of Championship rugby.